After numerous rumors that often precede the announcement of a new smartphone, Samsung has officially unveiled the Galaxy A8 (2016), a model that inherits several features of the previous model and takes the processor from the Galaxy S6. The device was announced in South Korea, where it will be offered by phone operator SK Telecom, but presumably also aims to be marketed in Europe and America. 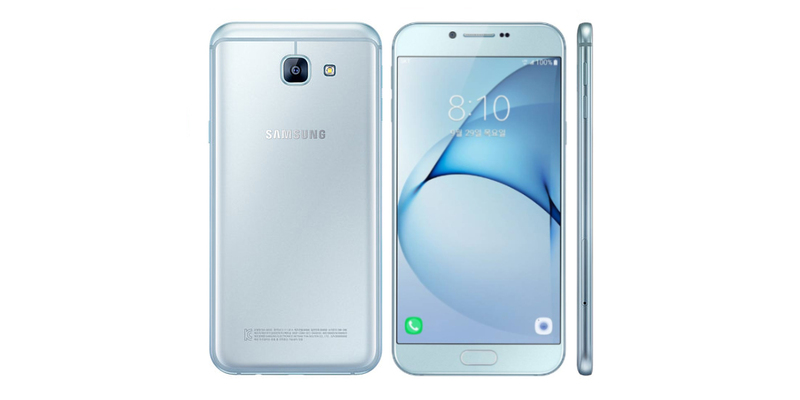 The Galaxy A8 (2016) has a monocoque aluminum chassis and a 5.7-inch screen with Full HD resolution (1920 x 10080 pixels), and belongs to the category (widening) of the phablets. As anticipated a few days ago, the new phone integrates an octa-core Exynos 7420 processor at 2.1 GHz, which is accompanied by 3 GB of RAM and 32 GB of flash memory, expandable with microSD cards up to 256 GB. The rear camera has a resolution of 16 megapixels (the same as the 2015 model), while an 8 megapixel sensor has been chosen for the front camera. The battery capacity has been increased from 3050 to 3300 mAh. It also includes a fingerprint reader (under the Home button) that can be used to unlock the device and to make mobile payments with Samsung Pay. The size and weight are 156.6 x 76.8 x 7.2 mm and 182 grams, respectively. The operating system is Android 6.0.1 Marshmallow with the latest version of the TouchWiz interface. Samsung has added functionality Always On Display introduced at the beginning of the year with the Galaxy S7. Moreover, the Galaxy A8 (2016) features Grace UX, which was introduced with the Galaxy Note 7 to basically share the same screen. From the point of view of design, as you can see in the pictures at the end of this article, no big news in particular. The pre-orders for the Galaxy A8 (2016) will begin on October 1 in South Korea, where the phone will be available exclusively in blue, at a price of ₩ 649,000, almost € 525. As mentioned, Samsung has not yet confirmed the arrival in our market.